the most engaging and cutting-edge support that is available today. 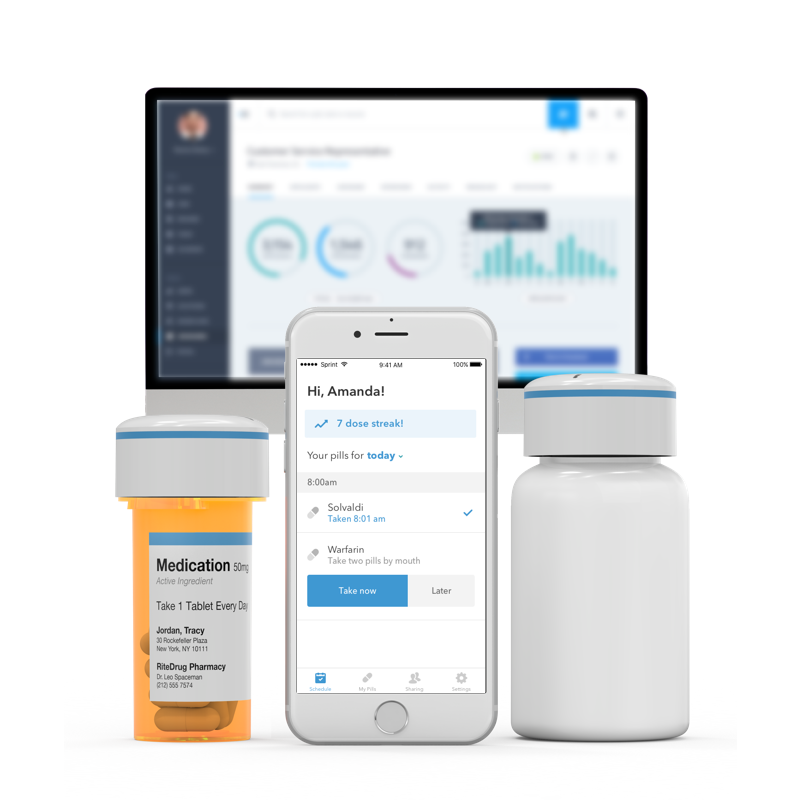 Your new mobile experience and smart pill bottle will simplify medication scheduling, dose tracking, and refills. Smart pill bottles have been shown to improve medication adherence. 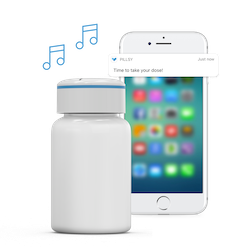 Our mobile app can be used by itself or with our patent-pending, affordable smart pill bottles. Gain buy-in from payers and physicians with data that proves your brand is actively supporting high rates of adherence. 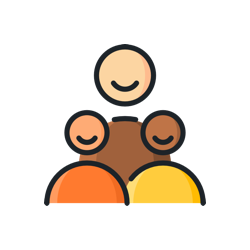 Pillsy can be setup and managed by pharmacists or provided directly to patients as an easy-to-use adherence tool. See an example of the user experience we can enable for your product. Pillsy is a flexible solution that can be given directly to patients or distributed through pharmacies. All patient data can be entered at the pharmacy, meaning that no patient input is required. Alternatively, patients can easily set up Pillsy themselves. 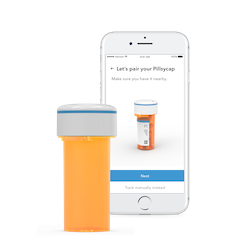 Pillsy can be used with our without the smart pill bottle. Choose from 5 types of reminders. Customize your experience. The patients entire care team (family, doctor and pharmacist) can help your patients stay on track.